Though unlikely, it’s still interesting to see who would need to be paid first in order to avoid a technical default on US debt. The Big Picture blog has this great chart from Société Générale showing who holds US Treasury debt (see chart below). 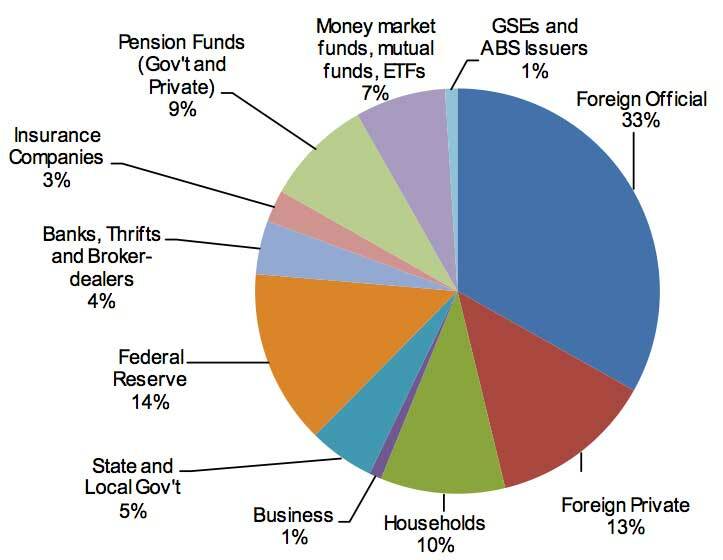 Chart Source: Who Owns Treasury Debt?